When it comes to lighting a mid range restaurant, you will want to include a number of decorative light fixtures. 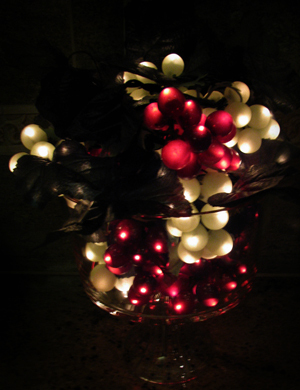 For Greek, Italian or Wine bars, one such decorative light fixture are grape lights. 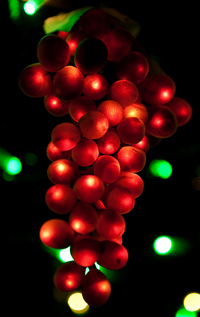 These are fake grapes that have a light, usually an LED within each grape. There are a range of different versions to suit different décor styles and needs. They come in a range of natural colors such as green, red or yellow. You can find large pendant grape lights, or they come as string lights. 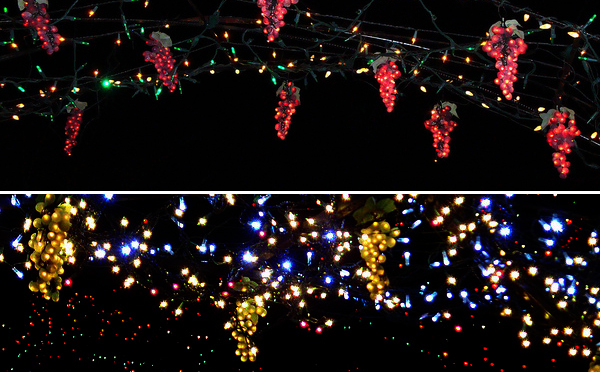 Grape vine lights are great because they have decorative leafs that tie clusters of grapes together. Even though they are fake leafs, they add greenery to a room – which coordinates well with decor that has a number of real life plants. Have a look here to see pictures on how the grape string lights work well to frame a window – they can also be used to frame doorways. Smaller versions can be used as table lighting, or there are pendant versions that work as ceiling lights. 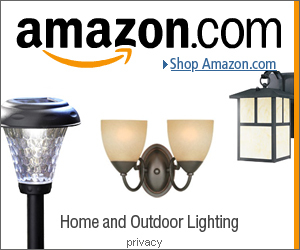 There are also waterproof versions, which act as outdoor string lights that can be used for outdoor restaurant lighting fixtures. Glass grape lights tend to be less realistic and a bit more abstract looking lighting decorations. The cost varies between $20-50 depending on the version, length and quality. The higher the quality you buy, the more realistic the grapes will look.